Cheap Weekend Fun in Boston for November 29-30, 2014! I can’t believe it is the last weekend of November! 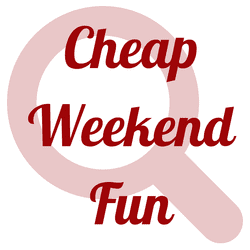 I am sending the Cheap Weekend Fun post a day earlier since I’m sure you all have better things to do tomorrow! Here’s some fun things to do this weekend in Boston for the last weekend of November! 29th Annual Boston Tuba Christmas Concert: Saturday, November 29, 2014 from 2-5pm. Come check out over 150 tuba players wow the crowd with holiday classics! Free. Small Business Saturday: Saturday, November 29, 2014. Get out and support your favorite local business with Small Business Saturday! AMEX Cardholders can also receive a free $10 statement credit with registration (this may be limited). Cultural Survival Bazaar: November 28-30, 2014 from 10-6pm in Cambridge. Shop direct from artisans and free trade vendors and more. Free admission and parking. ICA: Saturday, November 29, 2014. The ICA is free for families (with children under 12) the last Saturday of every month, except December. MIT Museum: The last Sunday of every month September through June the MIT Museum is free! There will also be FREE PARKING this weekend in Boston, so save those quarters! However, the time limit will be still be enforced on Friday, 11/28/14 and Saturday, 11/29/14 as well as additional Saturdays this holiday season. Good luck if you are participating in Black Friday or shopping this weekend and I hope you get all the deals you were hoping for! Hope you all have a Happy Thanksgiving and weekend!